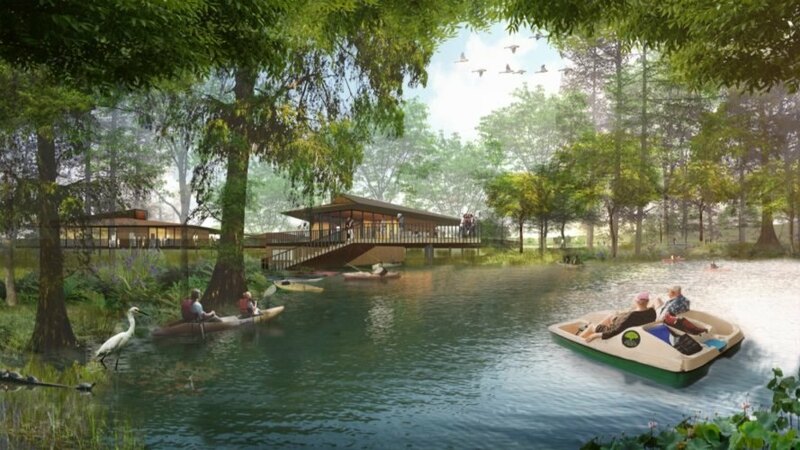 New images have been unveiled of international design firm Sasaki’s proposal for transforming a 180-acre, post-industrial site in Lakeland, Florida into a privately funded park with aims of becoming “one of the greatest urban landscapes in the country,” according to the firm. 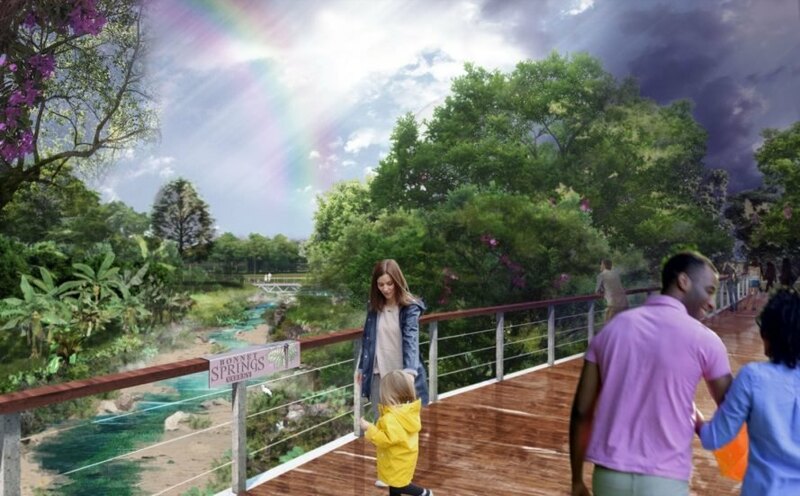 Billed as a future “Central Park” for Lakeland, Bonnet Springs Park will begin with a comprehensive remediation process to heal the damaged and contaminated landscape. 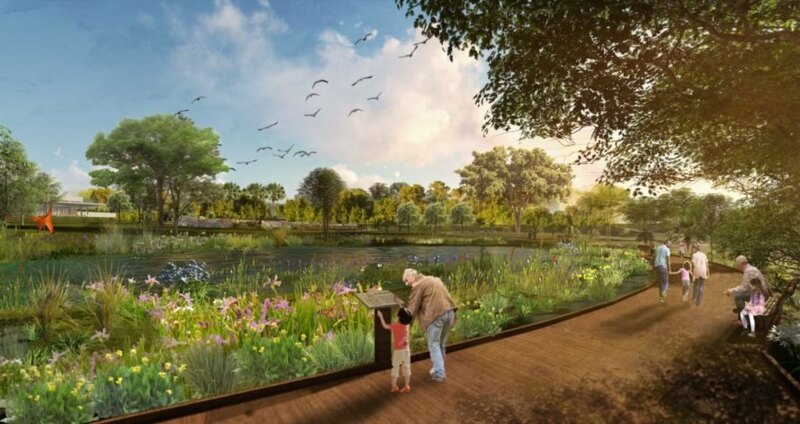 Spearheaded by Lakeland realtor David Bunch and his wife Jean with the backing of philanthropists Barney and Carol Barnett, the sprawling park will be a vibrant new destination for residents. It is slated for completion by 2020. Located near downtown Lakeland, the land for Bonnet Springs Park is currently underutilized and has accumulated tons of trash. More than 80 acres of land are contaminated with arsenic and petroleum hydrocarbons. With the help of a 20-person advisory committee that has helped remove 37 tons of trash from the site, the 180-acre landscape is now entering its environmental remediation phase, which includes stockpiling contaminated materials into safely capped hills, constructing wetlands for filtering pollutants and creating stormwater management strategies. 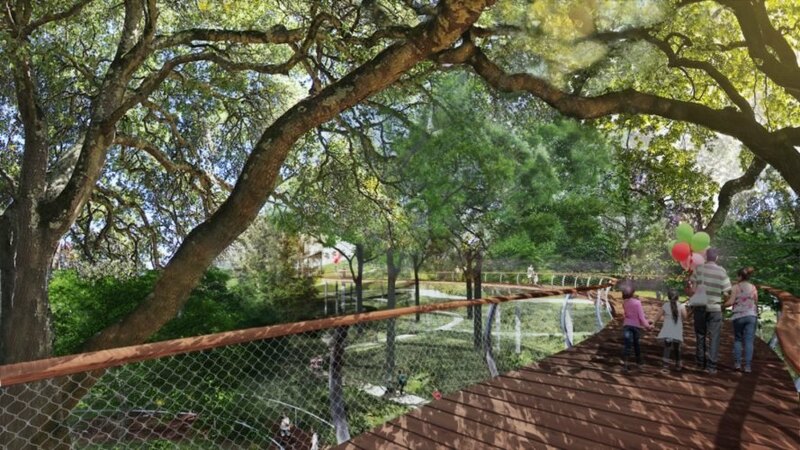 Although the park is privately funded, hundreds of Lakeland community members have been invited to add their feedback and input on the design. 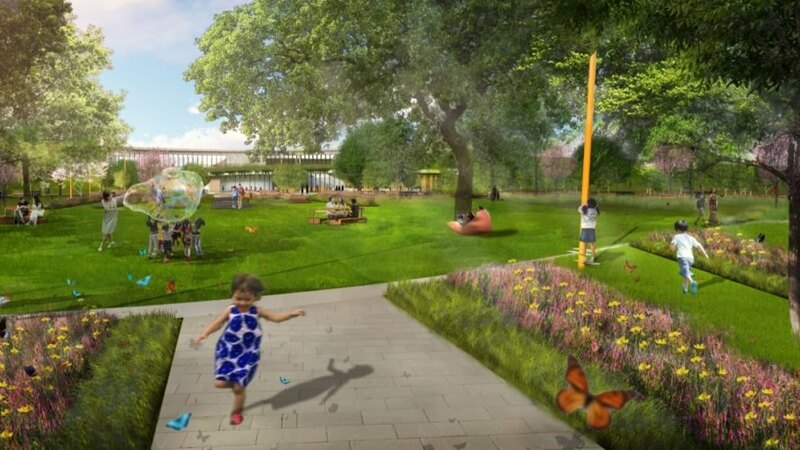 Sasaki’s masterplan includes heritage gardens, a canopy walk, a welcome center, nature center, event lawn, walking and biking trails, non-motorized boating activities and a sculpture garden. 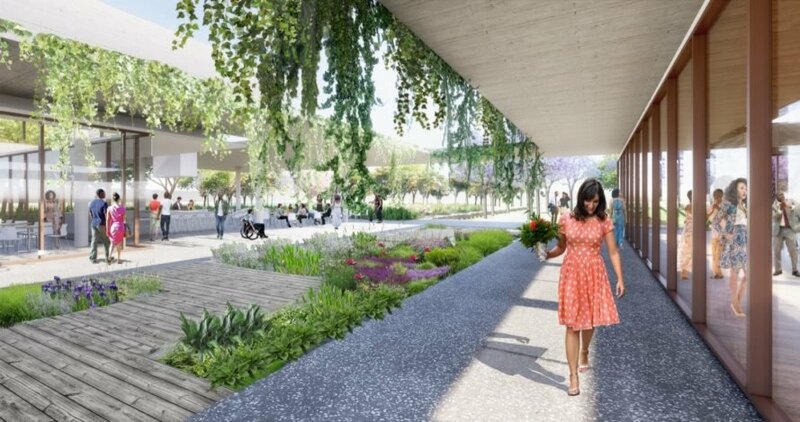 The new buildings in the park will be designed to harmonize with the landscape, with some of them partially buried into the terrain. A plan will also be put in place to ensure the economic sustainability and continued maintenance of Bonnet Springs Park. The botanical gardens provide visitors with a day of exploration and installments that cater to each of the five senses. The centerpiece of the park is the 200-year-old Grandfather Oak. The event pavilion, which overlooks botanic and sculpture gardens, is suitable for weddings and other events. The Heritage Garden teaches visitors about the site history as a rail yard and orange grove. This garden also includes pollinator paths and fruit trees. The Nature Center teaches guests about the local flora and fauna. Visitors can also rent paddle boats. Restored ecosystems revitalize local fauna and clean the water. The Welcome Center features an oversized canopy for shade. Inside, exhibition space and a restaurant greet guests. Wetland gardens help improve the site's ecological health.